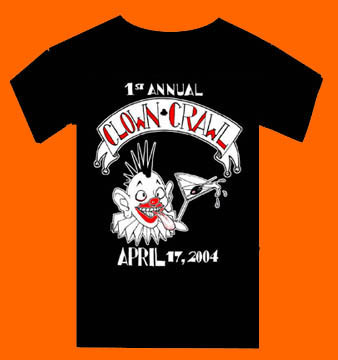 April 17th, 2004... the first annual "ClownCrawl". most outrageous pub crawl ever! 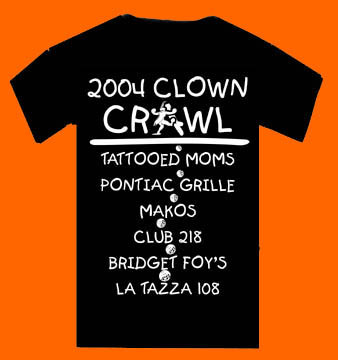 Coming Summer 2005... "Clowns Across America"
... a patriotic clown-unity event to help raise funding and support for the Million Mime March. 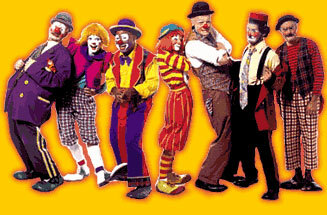 Where are the clowns? ...email us here!